Chances are that you don’t inspect your roof as thoroughly or as often as you do other parts of your home that are seen on a daily basis. So how can you tell when repairs just won’t be enough? Luckily there are some telltale signs that the roof has got to go. If none of these are present, check outside just in case the signs are simply not noticeable from inside. 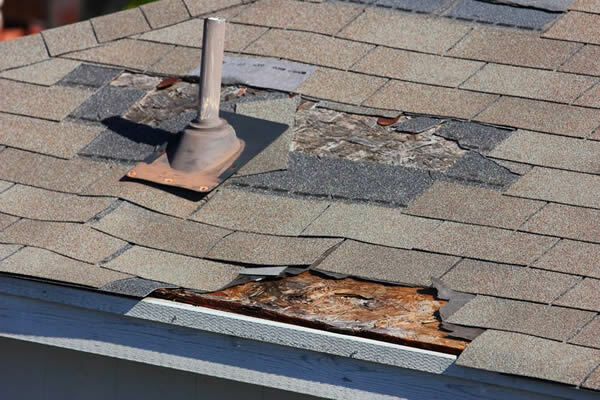 Keep an eye out for missing or curling shingles, algae or mold, rotting sections, and damaged flashing. An excessive amount of loose shingle granules are also a sign of advanced age. It’s also a good idea to make sure that any roof accessories, like vents or chimneys, are in good repair and that gutters are attached and working. The type of visible damage may also depend on the type of building material used on the roof. Something like cedar will fall apart in dry climates or get moldy and wet after 20 years. Tile can last 100 years, but may become cracked or broken over time and require replacement by a specialist. There are times when repairs may be enough to make the roof keep lasting, but sometimes it’s just more cost-effective to start over rather than doing part of the repairs now and having to do more later. Doing one repair once a year will undoubtedly end up costing more in the long run than simply getting a new roof. Consult with an expert to see which option is best for you. 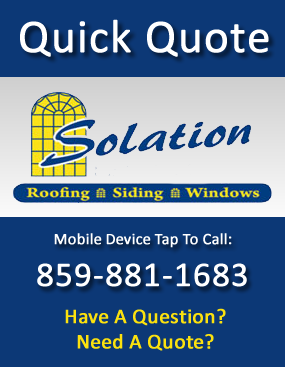 For more roofing information or to get a quote, contact Solation Roofing today. We are your local Lexington roofing company.